On the morning of Tuesday, April 10, Meray a second-year college student at Sohag University in Upper Egypt, left in a tuc-tuc (motorized rickshaw) headed to the university she attended but never returned home. She was to go to class and then to a private tutor but when Meray did not return home when expected, her father went to look for her and learned she never reached the tutor. He reports that after searching for her, he went to the police, but “they made no effort to investigate the matter and search for her.” He suspects she is the victim of human trafficking. Meray is one of the hundreds of young CopticMembers of an ethnic religious group from North Africa but primarily Egypt, where they are the largest Christian denomination in the country. Christian women who have gone missing from their families in Egypt. 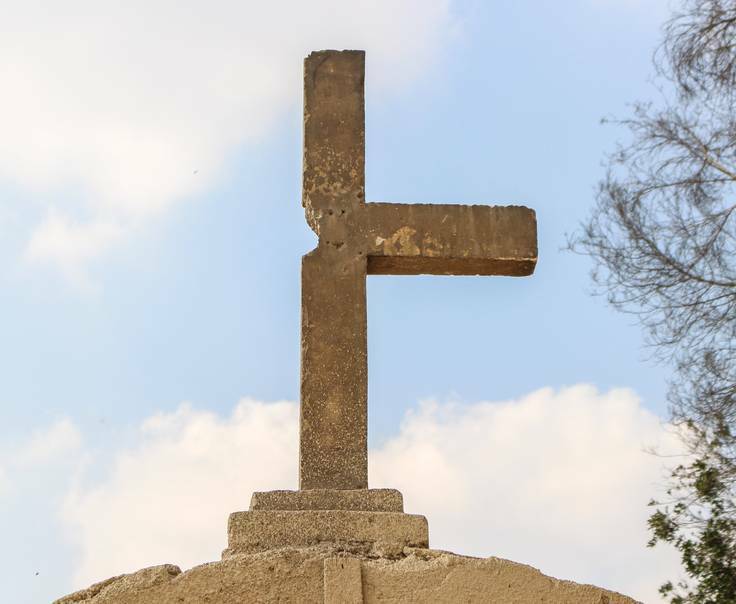 Meray is one of at least eight Coptic Christian women and girls who have disappeared in the past month–an escalating crisis that has Egypt’s Coptic Christian community on red alert. Those taken range in age from 12 to 40. They are daughters, wives, mothers and sisters, and their loved ones are receiving very little, if any, help from local police to locate them. As I’ve continued to think about and pray for these women–trying to imagine what they and their families are going through–I turned to the scriptures. Some 2,000 years ago, the evil of human trafficking was already at play. We have stories of real people who were trafficked–people whom God miraculously used in their desperate situations to further His Kingdom and His plans. Beginning in Genesis 37 to the end of the book, we see read the story of Joseph. His traffickers are his own brothers who sold their young brother into slavery. In today’s terms, Joseph was a victim of human trafficking. Full of plot twists and curious characters, his story reads like a Hollywood movie. Despite the hardships and betrayals, Joseph keeps the right perspective and more importantly, remains faithful to God. Esther is another example of God working through human trafficking. Taken from the safety of her home and placed in the palace, Esther was trafficked. She would be one of the many women who would be presented to King Xerxes as a prospect to replace the queen who had dared to disobey the king. Again we see God’s sovereignty as Esther is chosen to be queen. As the story continues and the very existence of the Jews is threatened (remember Haman and his plot to wipe out the Jewish people? ), Esther’s uncle, Mordecai, challenges her. “Do not think that because you are in the king’s house you alone of all the Jews will escape. For if you remain silent at this time, relief and deliverance for the Jews will arise from another place, but you and your father’s family will perish. And who knows but that you have come to royal position for such a time as this?” (Esther 4:13-14). Ultimately God does, in fact, use Esther to save the Jewish people as she risks her life to speak to King Xerxes and plead for her people. Although we can look at Scripture and see how God has worked in the past despite the evils of human trafficking, I can only imagine the fear and pain that these disappearances have brought to the families of these victims. In 1 Corinthians 12:26, Paul says, “When one part suffers every part suffers with it. At Open Doors, we believe that it is in the DNA of every believer to care for those who are suffering for their faith. So now imagine if they were your family members who were taken, how would you pray? Who would you ask to join you in praying? Pray for these girls and women to know the Lord has not left them and that they feel His presence wherever they may be. Pray for the families who are hurting and grieving that they may be comforted by the Lord. Pray for the Lord to move in the hearts of the police, that they would help to locate the missing women. Pray that the Lord would move in the hearts of those who took the women to come to a saving faith in Jesus and they would return them to their families.